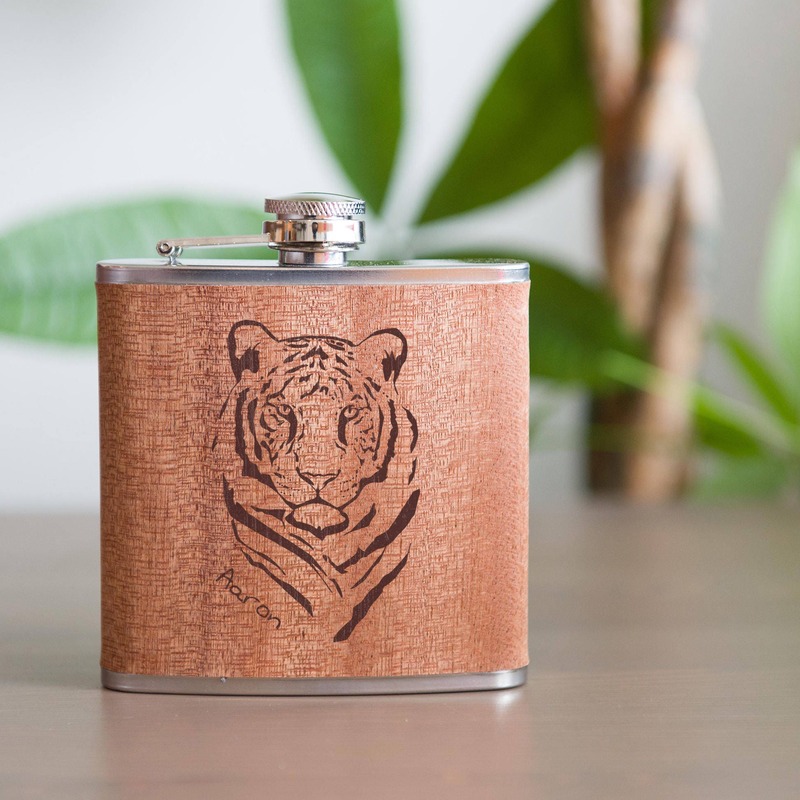 This personalized flask is laser etched with a fierce tiger and your name. 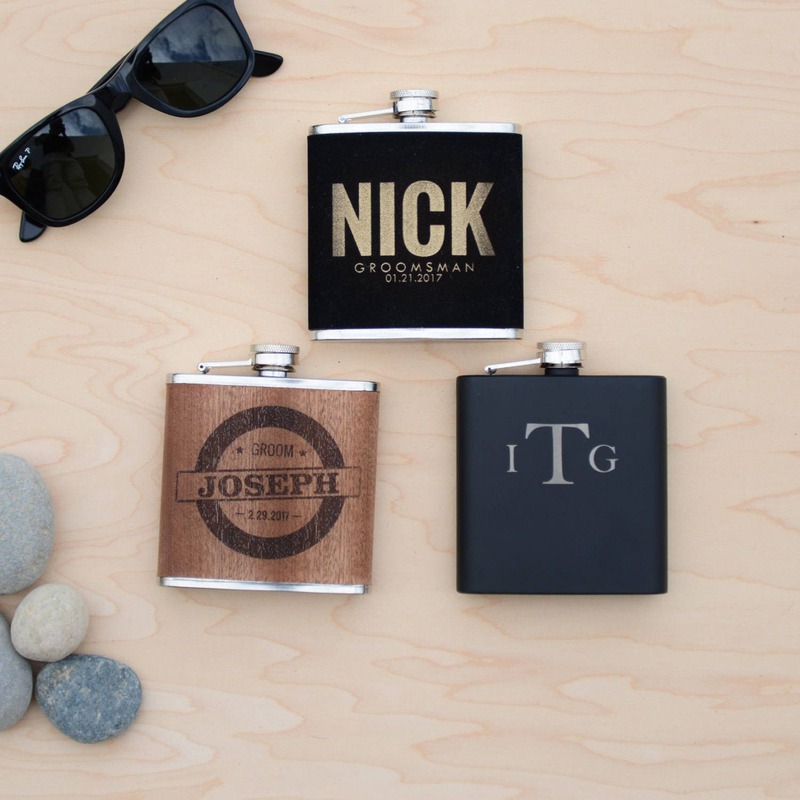 The stainless steel flasks holds 6 oz. 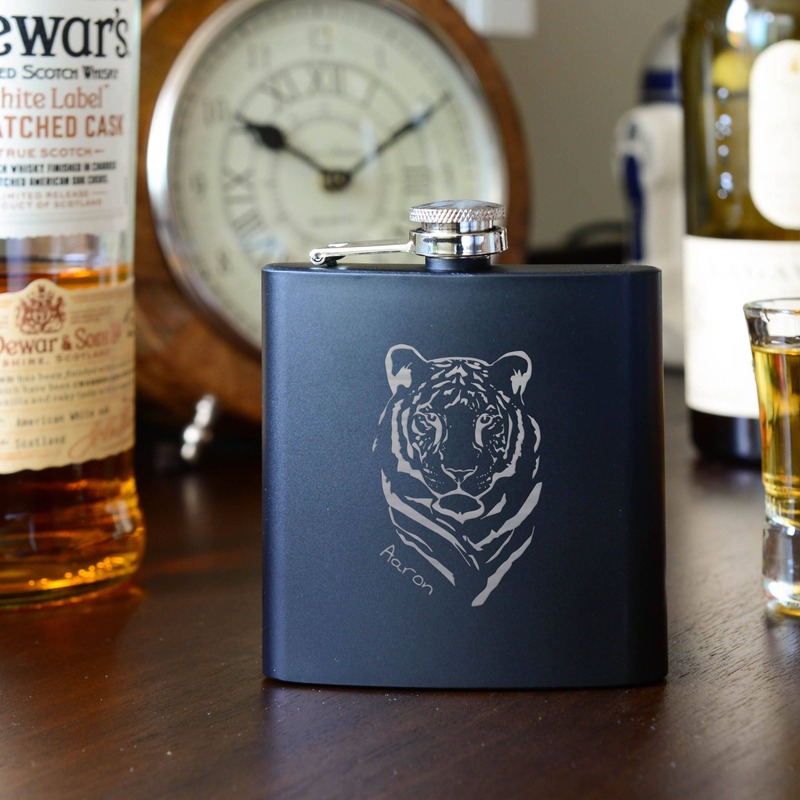 Makes for an awesome birthday gift for an avid outdoorsman or animal lover. Great for other events, like graduation or vacation commemoration, too!